The 106th Newport Beach Christmas Parade will be taking place at 6:30pm every evening from December 17-21. 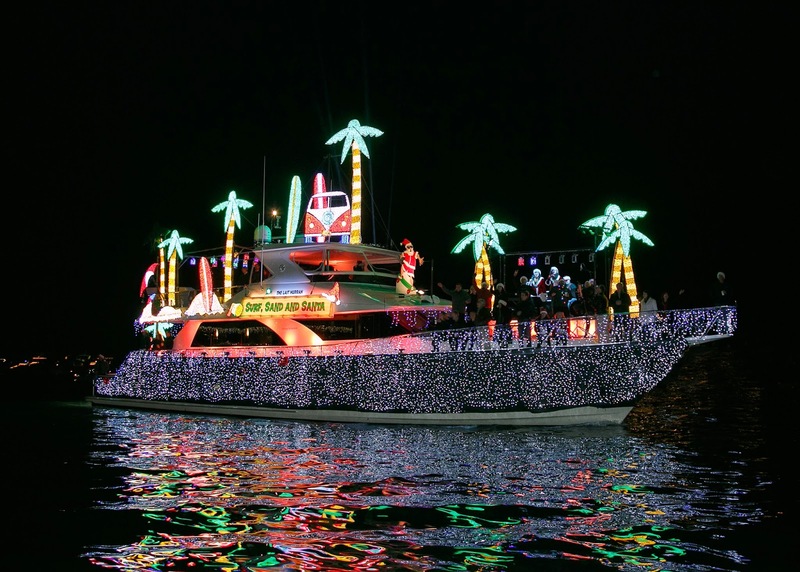 On December 17 (opening night), actress Leslie Mann and singer/actor Mark McGrath of Sugar Ray, (both Newport Beach natives), will reign as the Grand Marshals of the nation’s longest running lighted holiday boat parade. Themed “Deck the Hulls with Bows of Jolly,” over 100 vessels of all sizes adorned from top to bottom with lights, decorations, moving displays, dancers, and music will sail around the 14-mile stretch of the Newport Harbor. The Parade can be observed for free from throughout the Harbor area, and reserved seating for prime viewing is available at the Newport Sea Base and ExploreOcean.